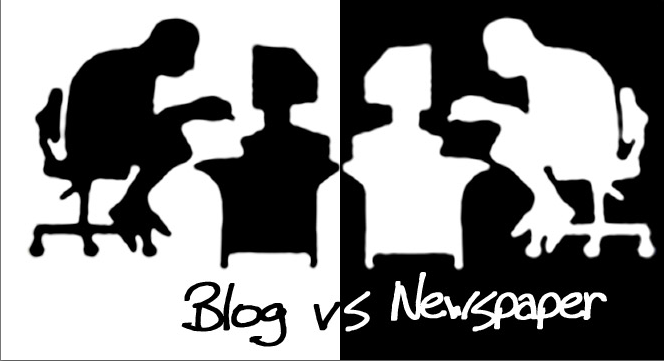 Newspaper VS Blog that is the question. I guess everyone’s interested in why we decided to go from paper to cyber. Whose idea was it, what are the benefits of the blog, why the newspaper version needed improvement in the first place, etc. How about we all think back to last year, the freshmen can just judge the situation according to the state of things so far this year. How many times have you actually held a newspaper in your hands and read it ? Once, twice, not at all? And if you read every edition that came out, were there that many of them first place? There were not. We could not print a new publication every month. Another problem with the newspaper, was the currentness of the topics which were present in it. If a new edition only came out every two or three months, no matter how hard we tried, the topics could not be up-to-date because the information they contained were logically about past events and they were not be the ‘hot news’ everyone craved for. The preparation for the publication of a new edition went on for so long that when a new edition finally came out it was like a child getting his long awaited Christmas presents. Is this the end of the printed version of Gzaat Gazette ? We aren’t sure. We don’t want it to be the end, and so far everyone I asked likes the idea of a paper version more. It’s understandable, who doesn’t like taking a fresh newspaper in his hands, crossing legs in the library armchairs and feeling important? Everyone has an opinion about the school newspaper, which version they like more and why. Only a very scarce amount are indifferent to the matter. We are thinking of publishing one printed version of the newspaper at the end of the year which will include all the best articles from the year round. So how about we give the blog a chance. After all, change isn’t always bad. This entry was posted in School Life and tagged Blog, newspaper, print version. ← Merry Christmas, You Filthy Animal!